Why did I buy a fire truck? The idea of buying a piece of fire apparatus came about more or less by accident. Originally I got a text from my Fiancée’s father who happened to stumble across a Mack CF pumper for sale while he was looking for an unrelated item. In passing I made the joking reference to family members about buying the truck as a Christmas present for me. Much to my surprise, my grandfather liked the idea (as he plays Santa and often does promotional events and parades) and wanted to know more information about the truck. While the initial CF engine I had looked at didn’t turn out to be a good buy, I continued the hunt online for a rig that was somewhat nearby and in reasonable condition. 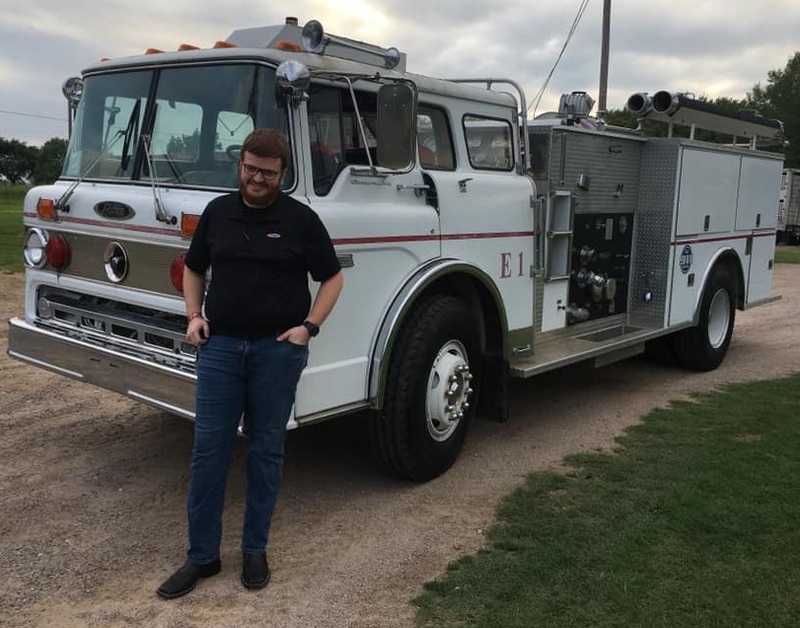 About a month into my search I came across a 1985 Ford C8000 with a Pierce pumper body. The engine was locate in Grayson County and somehow only showed to have 9500 miles on it. After some emailing back and forth we went to see the truck in person. The truck was now owned by a member of the department who originally purchased it from Pierce in 1985 for use at the Grayson County Airport (now North Texas Regional Airport) where it resided until being retired in the early 2000’s. Listed at an agreeable price we purchased the rig and I began the 2.5 hour drive home at a blistering 55mph… the best drive of my life. This truck is a 1985 Ford C8000 chassis with a Pierce pumper body. The truck was originally purchased by Grayson County to serve at their airport. The truck was later sold at auction to a member of the department who we then were able to buy the truck from in 2018. Purchased for family events and parades that revolve predominately around Christmas, the engine was nicknamed “Nicholas” as a nod to good ole Saint Nick himself.